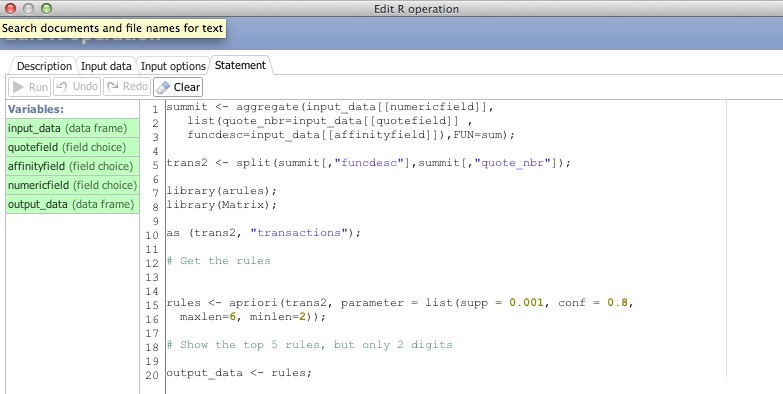 R Analytics: Encountering script error? I've been working on an R script to do Affinity analysis in Omniscope. 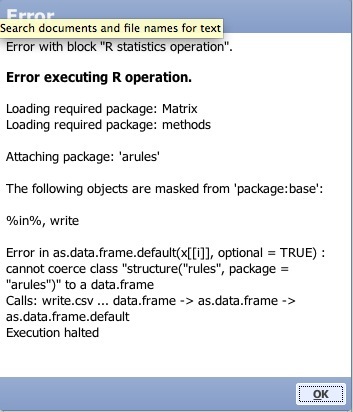 The script runs in R but gives me the attached errors in Omniscope. Does Omniscope look into R_DEFAULT_PACKAGES and .Rprofiles? If so you follow the post below to have default libraries always being added in Omniscope based on your settings in your own version of R.
Your idea about R default packages is a great one, I'll try to get it implemented by next week. The data.frame was the issue.